EDINBURG — The UTRGV baseball team hadn’t swept a Western Athletic Conference opponent since the 2016 season. This year’s group changed that as the Vaqueros were able to take three from Northern Colorado in a home-series with wins of 3-2, 11-1 and 10-0, respectively, last weekend. 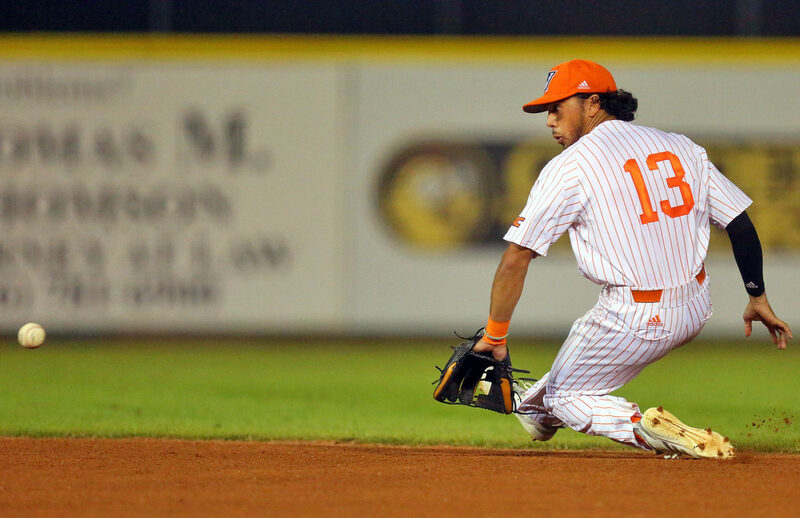 Second baseman Anthony Gomez was part of the 2016 team as a freshman, and now as a senior feels that sort of performance should be expected out of the Vaqueros every time they take the field. In the process of picking up the sweep, UTRGV (18-10, 4-2) was at its most dominant Saturday during a doubleheader. After winning Game 1 on Friday 3-2 in 10 innings, thanks to a walk-off base hit by Christian Sepulveda, the Vaqueros outscored the Bears of UNC by a combined 21-1 during Games 2 and 3. One of the many bright spots for UTRGV came in the form of new leadoff hitter Jacob Hirsh. After losing starting shortstop and leadoff Andy Atwood to a broken finger against Texas Christian on March 26, Hirsh, a redshirt sophomore and right fielder, has stepped into the one spot from the nine-hole. His cannon for a right arm has been on display for the Vaqueros all year, but coach Derek Matlock said he’s improved at the plate with the help of hitting coach Russell Raley, and it showed against UNC as he drove in four RBIs. Hirsh’s two-run double during the eighth inning of Game 2 against UNC gave UTRGV an 11-1 lead for the 10-run rule. He tied a career high at the plate going 3 for 5 with three doubles and three RBIs. Another highlight from the weekend was the duo of Jerred Quartier and Conner Dotson, Saturday’s winning pitchers, who were dealing as they both pitched seven innings and struck out a combined 15 batters. In the 10-0 victory, Dotson threw a one-hitter and walked just one runner, putting himself in the win column for the first time this season. The Vaqueros will look to build off the sweep as they welcome Chicago State (7-19, 2-4) for a three-game series beginning 7 p.m. Friday at UTRGV Baseball Stadium.